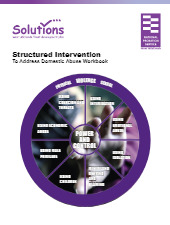 Structured Intervention to Address Domestic Abuse (SIADA), which this workbook is based on, is a a piece of work which aims to address the behaviour of perpetrators of Domestic Abuse against partners or ex partners. 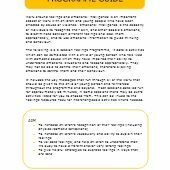 It can be delivered on an individual or small group basis. Session 1 – offenders to understand that their violence is part of a wide spectrum of abusive behaviour which aims to exert power and control over their partner. Session 2 – increase offenders’ motivation to change. Session 5- offenders learn to identify the build up of thoughts, emotions and physical changes that may precede an assault. 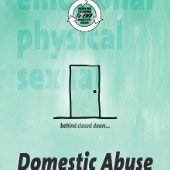 Session 6 –offenders to look for strategies for dealing with the thoughts, emotions and physical changes prior to assaulting their partner. Session 7 – help offenders understand they can argue or disagree with their partners without being abusive and to help them understand the rules needed to achieve this. Session 8 – review what they have learned and to add to the action plan for the future. Follow up Session 1 – enable offenders to understand the Preventing Re-offending Model and begin to complete the Preventing Re-offending Plan. Follow up Session 2 –complete the offender Preventing Reoffending Plan and identify strategies for the future.